I've done this once before. I barely remember it since it was such a non-issue. Mac pooped on the toilet once, and we never looked back. The only time he ever had an "accident" (poop-wise) was when he was sick. Sure, he regressed and would wet his pants for a while after we had Isaac, but although frustrating, it was understandable. 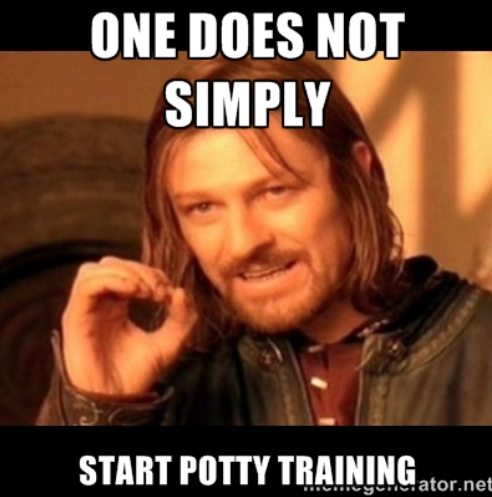 I never understood how people found it difficult to potty train. 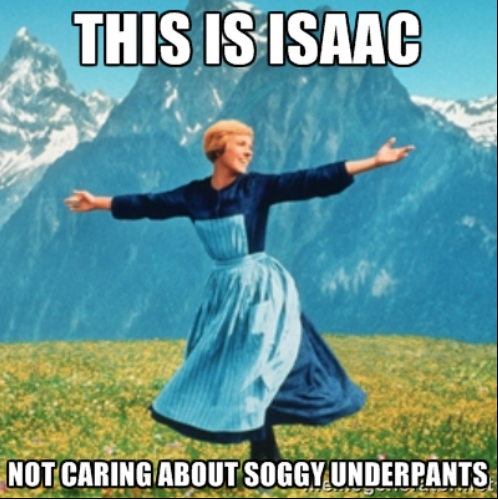 And then Isaac happened. Isaac is a whole different beast. This kid legitimately does. not. care. Doesn't care if he has poop in his diaper. Doesn't care if it's so soggy it's hanging past his knees and leaking. I on the other hand, have been spending my days looking like this, all the while seriously considering turning to substance abuse to get through this week. I don't get it. Oh, and did I mention that I promised myself that I would stay positive with him through this whole process so that it wouldn't become about what he was doing wrong (soiling himself) but what he was doing right (starting to use the toilet)? Yeah. Right. Good idea. Make a promise like that before you know what you're getting into. And then get sick and have PMS at the same time, all the while starting a new clean eating meal plan that doesn't allow you to binge eat chips and drink a bottle of wine. Throughout this process, I've found myself saying things I never thought I'd say or being told things I never thought I'd be told. 1. 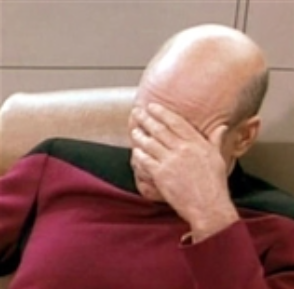 Me: "Isaac, don't droop your bum into the toilet. There's poop in there. Do you want your bum to touch the poop?!" Isaac: *gets all excited* "YES!!!" 2. Harry: "OK, Isaac show Daddy how you can poop on the toilet"
Harry: "Hey!! That came out of the wrong end! You're supposed to be pooping, not burping!" Isaac: "I don't like to poop." Me: "How come? Mommy loves to poop. So does daddy. So does Mac. It's important to poop because then you don't get tummy aches." Isaac: *thinks about it and then nods wisely* "And Grandmaman - she likes to poop." Isaac: "Mommy, I just peed on you." And it's only day 2. I was starting to think that Isaac was not in fact my child, but the abandoned offspring of Evel Knieval and a rabid honey badger that hatched somewhere in the hospital and took my real baby's place... and then I had flashbacks of some of my behaviour as a child and realized that nope, he's definitely mine! So to my neighbours: If you happen to see a crazy person outside burning diapers and chanting, all the while wearing Underoos on their head, don't worry, it's probably just me, making a sacrifice to the potty gods in order to try to win their favour. And to my friends with cute cuddly newborns, I make you this solemn promise: When you tell me that you are going to start toilet training your child, I will not give you any advice and make any self righteous comments on the "right" way to do. I will go out, buy you a family sized bag of your favourite chips, a gigantic chocolate bar and a magnum of your favorite wine, deliver it to your house, give you a hug, and then run and not look back before the PTSD starts.